and transferred to your hotel. Start the day with a magnificent overview of Jerusalem and the Judea Desert from Mount Scopus, near the Hebrew University Campus. Drive to the Old City. Experience a moving bar mitzvah ceremony at the Western Wall or Southern Wall. Onto the City of David for a walk through the newly discovered tunnels leading to the Temple Mount. Visit the Davidson Center and explore the southern wall excavations. Walk along the Cardo, the ancient Roman road; view the remains of the wall of Jerusalem from the 1st Temple period. Visit the Jewish Quarter and the four Sephardic Synagogues from the 16th Century, restored after the 1967 war. Stroll through the markets of the Arab Quarter. Visit the Israel Museum. 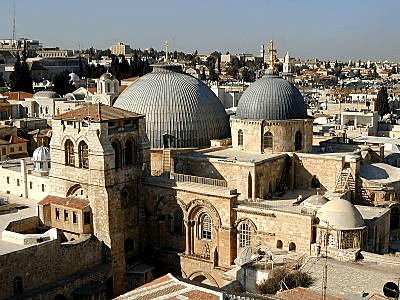 See the magnificent Shrine of the Book where the Dead Sea Scrolls are housed, and the model of Jerusalem as it was in the second temple period. Continue to Mea Shearim and learn about the unique lifestyle of the ultra-orthodox communities. Enjoy a tastings tour of Mahane Yehuda market. Experience a moving visit to Yad Vashem Holocaust Memorial. Time permitting continue onto the Herzl Museum for an interactive experience. Descend to the Dead Sea – the lowest place on Earth. Stop and explore the caves of Qumran, where the Dead Sea Scrolls where discovered. Ascend the mighty fortress of Masada via cable car, where the zealots made their last stand against the Roman Army. Enjoy a float on the salty waters of the Dead Sea. (OR optional Bedouin Desert experience on this night with camel ride, music and tea ceremony and Bedouin Hafla feast. Overnight in huts or Bedouin tent. 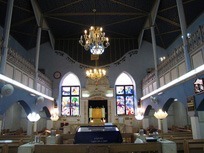 Depart via the fertile Jordan Valley for a visit to the synagogue of the zodiac at Beit Alpha. Enjoy a magnificent view from the top of Belvoir Castle. Enjoy a swim in the hot natural waters of Sachne Springs. 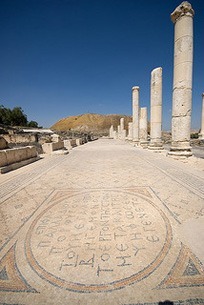 Explore the ancient city of Beit Shean. Visit the mystic city of Safed. Walk the artists quarter and experience a visit to the Kabbalah Centre. Onto Rosh Pina to see the first modern Jewish settlements. Continue northwards to the Golan Heights for a jeep tour and magnificent overview of the area. See Mt Bental and Valley of Tears. Enjoy a visit to the Galilee experience and see a reconstructed Talmudic village at Katzrin. Depart for Akko (Acre) to explore the Knights’ Halls and the secret Crusader tunnels, then to Haifa to view the magnificent Bahai gardens from atop Mount Carmel. Stop at Caesarea, to visit the Roman Theatre and the Crusader Fortress. Continue to Tel Aviv and Jaffa for a short city tour. Transfer to Tel Aviv airport today in good time for your departure flight back to Australia. Have a safe return flight and wishing you a wonderful holiday! Twin share accommodation in 4 star hotels with breakfast included.